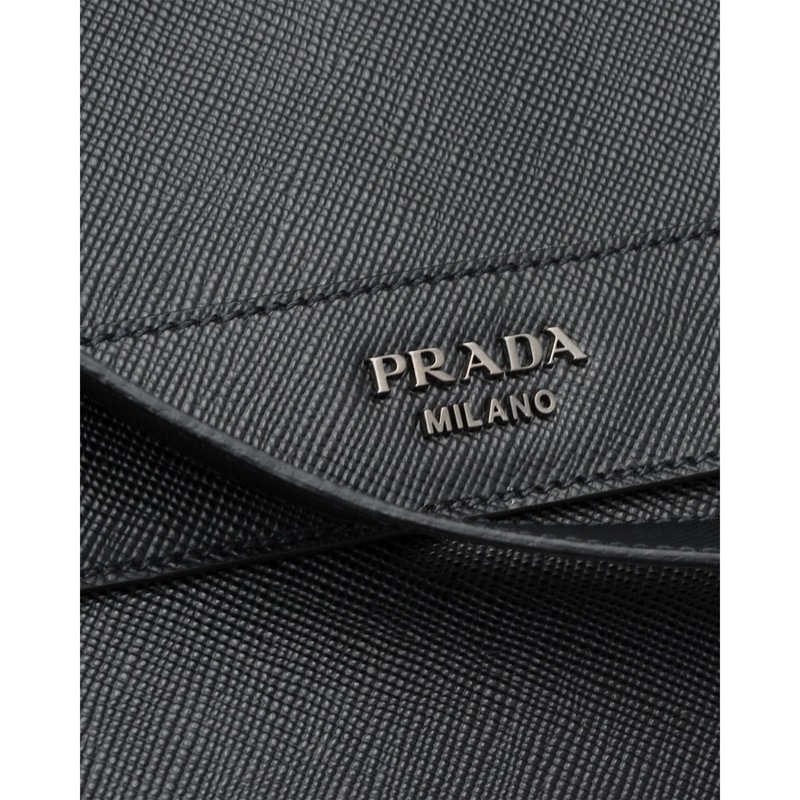 Main compartment with Prada logo lining, one zipper pocket and two cellphone pockets. 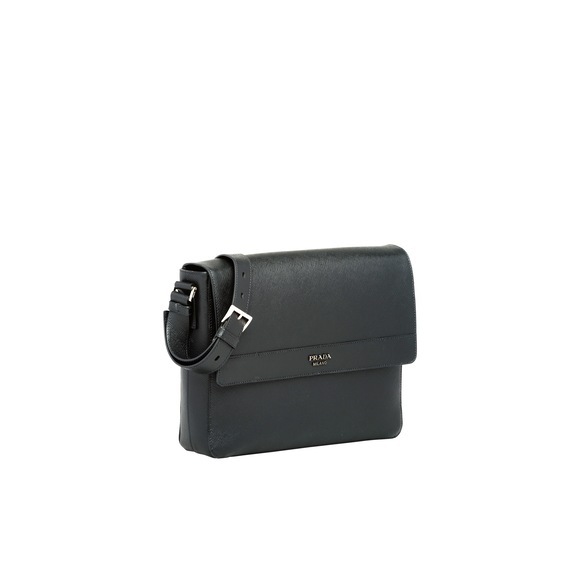 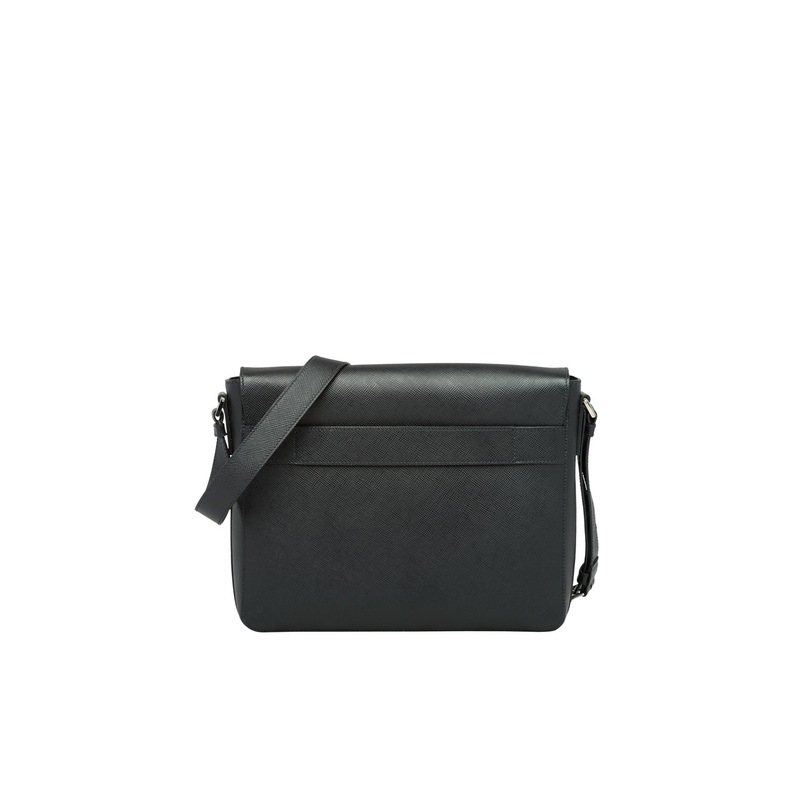 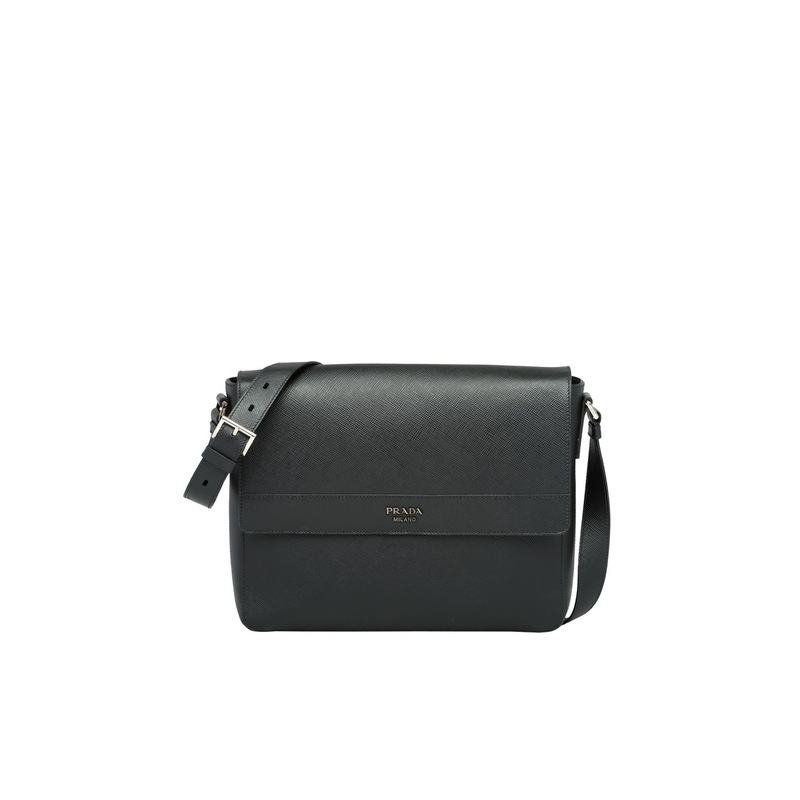 Saffiano leather shoulder bag with flap with magnetic buttons and adjustable shoulder strap. 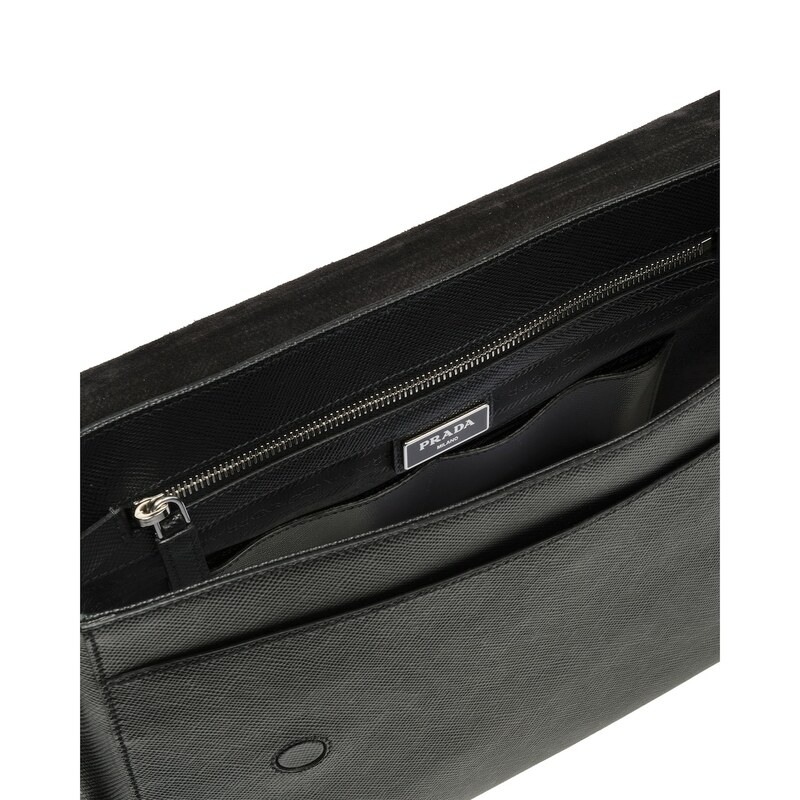 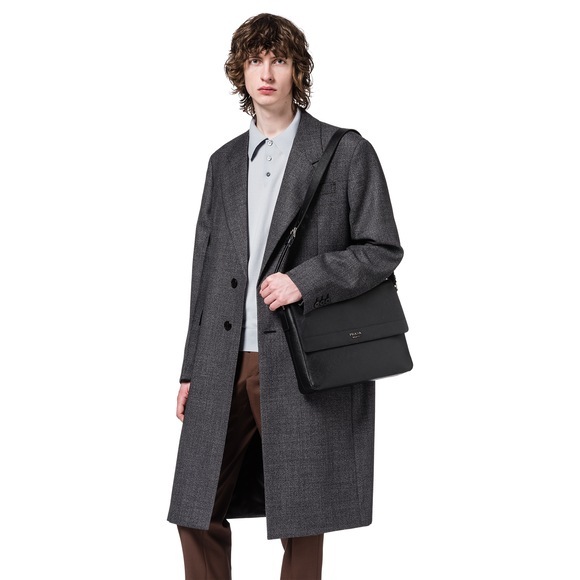 The bag has an outside pocket under the flap and a zipper pocket and two cellphone pockets inside.